ARF believes strongly in working together with other humane organizations to improve the lives of cats and dogs and to reduce the euthanasia rate of adoptable animals. The American Society for the Prevention of Cruelty to Animals (ASPCA®) works to rescue animals from abuse, pass humane laws and share resources with shelters nationwide. In May 2012, the ASPCA® awarded a generous grant to ARF to help in the transport of dogs from high kill areas in the Carolinas to the East End of Long Island to find them loving homes. The Animal Medical Center (AMC) in New York City, is a 24-hour, non-profit veterinary teaching hospital. ARF and AMC have partnered to promote high quality healthcare services to cats and dogs adopted from ARF. Every ARF adopter is issued a special tag that entitles the adopter to 20% off any specialty medical consultation or treatment. Simply show your tag when you check in and 20% will automatically be deducted from your final bill. The Animal Rescue Foundation of Rincón is an animal welfare organization that serves the town of Rincón, Puerto Rico. Its goal is to eradicate animal overpopulation. ARF Rincón is not a shelter but is a network of volunteers who temporarily foster animals until they are adopted into a forever home. The Animal Rescue Fund of the Hamptons coordinates with ARF Rincón to transport animals to the Hamptons to facilitate adoptions. ARF has formed a partnership with a new not-for-profit organization, Barks of Hope, that rescues and rehabilitates Satos (street dogs) and other unwanted or abused dogs in Puerto Rico. Once the dogs are ready for adoption, they are flown to the United States and brought to ARF. ARF works with this Utah-based national organization by taking in dogs and puppies it has rescued from puppy mills. We have also collaborated with Best Friends on finding the owners of animals that were lost during disasters like Hurricane Katrina. 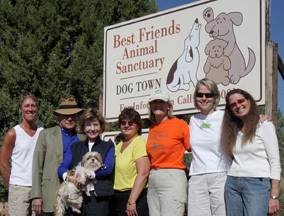 ARF is a member of Best Friends Network Charities. The BISSELL Pet Foundation recognizes the life-saving efforts of animal shelters and rescues of all sizes across the country and exists to assist animal welfare organizations. This includes helping to reduce the number of animals in shelters and rescues through pet adoption, spay/neuter programs, microchipping and foster care. The mission of Carolina Border Collie Rescue is to promote public awareness of the Border Collie as a working breed, and provide a counseling/referral service to Border Collie owners. The organization also provides foster care and rehabilitation to endangered Border Collies. Once rehabilitated, some of these dogs come to ARF to find a loving home. Fostering Foster is a volunteer based nonprofit located in Camden, South Carolina who is dedicated to rescuing animals, primarily dogs, that are in southern kill shelters and that are in desperate need of help. Fostering Foster relies solely on foster homes and collaborates with northern rescues, like ARF to save as many lives as possible. 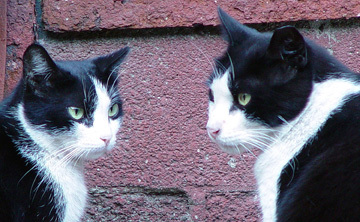 ARF works with HSUS on humanely reducing the feral cat population on a national level. Click here to read their proclamation to ARF. The Kent Animal Shelter is a private, not-for-profit humane society that provides a haven for homeless, abused and abandoned animals until new homes can be found. The shelter never destroys an animal unless incurably ill. Hundreds of animals are placed in responsible homes each year, and hundreds are spayed or neutered at the Kent low cost spay/neuter clinic. Kent Animal Shelter also has a Pet Therapy Program and a Retirement Home Program for cats that survive their owners. ARF is a member of the Long Island Cat Project, a network of feral cat rescuers, care givers, and individual citizens dedicated to resolving the feral cat problem on Long Island with a Trap Neuter Return strategy – a humane and effective solution. ARF is an official LICP hub and serves as the feral cat resource for the East End of Long Island. Each quarter, ARF is one of 60 shelters in the New York Metropolitan area that rescues dogs from euthanasia in New York City’s Animal Care and Control Centers. We are proud to be part of an alliance that is saving thousands of adoptable animals each year. Maddie’s Fund’s mission is to help the nation’s most needy dogs and cats who, for one reason or another, have ended up in animal shelters across the country. Through the Mayor’s Alliance, Maddie’s Fund ® helps ARF pay for the care of the cats and dogs we rescue from New York City while they wait for loving homes. On April 30, 2016 ARF held another lifesaving Long Island’s Best! Pet Adoption Expo which featured adoptable cats and dogs from rescues and shelters across Long Island. This event was made possible by a grant from Maddie’s Fund ®. The North Hempstead Animal Shelter is committed to providing a clean healthy facility for the humane care and housing of stray, lost and abandoned dogs. They are also responsible for administering and maintaining the town’s dog shelter, enforcing local and state animal protection, control and licensing laws, and administering town dog control services. As part of the town’s commitment to animal welfare, they arrange for dog adoptions at the Shelter. The Petco Foundation has served as a voice for companion animals across the country since 1999. Each year, they help animal welfare organizations find lifelong, loving homes for millions of orphaned pets, as well as fund spay and neuter efforts, animal assisted therapy programs and humane education. ARF has been a recipient of grants from the Petco Foundation since 2005. Visit your nearest Petco Store to see shelter animals available for adoption. The purpose of PetSmart Charities Adoption Program is to assist local animal welfare organizations to find homes for homeless pets and to help end euthanasia as a means of pet population control. Through working together, these goals can be achieved by educating the public about responsible pet ownership, providing a superior adoption experience, and matching the right pet with the right family. Located on the island of St. St. Croix, U.S. Virgin Islands, Pets in Paradise faces the challenge of a limited full-time resident population. There are simply not enough people who are full-time residents on this island to adopt the number of pets that arrive at its animal shelter. Pets from Paradise seek travelers to help relocate St. Croix dogs to partner shelters like ARF and other rescue groups in the United States. The Rescue Paw Foundation was founded to combat euthanasia in the deep south, specifically Alabama. With over 100,000 companion animals euthanized every year, Alabama is in desperate need of spay/neuter assistance, education and no-kill shelters. The Rescue Paw Foundation has targeted Lawrence County for a no-kill shelter. Until a shelter can be built, Rescue Paw works with ARF and other no-kill shelters to transport adoptable dogs to high adoption areas. London Jewelers has created an exclusive bracelet to fund the Rescue Paw Foundation. Buy your beautiful bracelet today and help save the lives of hundreds of adoptable dogs! Enter promo code helparf at checkout and 10% of your purchase will be donated to ARF. The Rescue Road Warriors (RRW) are an all-volunteer group who transport cats and dogs from high kill shelters to the no kill shelters where they will find their new forever homes and be given a second chance at life. Funded entirely by donations, in the 5 years since RRW began, they have transported over 8,000 cats and dogs to freedom. The Society for Companion Animals rescues dogs from the streets in Dallas, Texas as well as dogs in jeopardy of being euthanized at the City Of Dallas shelter and gives them a new life. Working with other nonprofit organizations these dogs are transported to areas and shelters like ARF for adoption. ARF works closely with the Town of East Hampton and is one of two Official Pet Evacuation Centers in East Hampton Town. ARF will board your cat or dog free of charge for the duration of the Town declared emergency evacuation. Click here to read the proclamation. The Town of Hempstead Animal Shelter boasts one of the highest adoption rates in the nation. All adopted pets are spayed or neutered, have received all required inoculations and are microchipped- all free of charge. The Kershaw County Humane Society in South Carolina is dedicated to providing food, housing, and medical care of all lost or homeless animals brought to the Walter M. Crowe Animal Shelter, and to address the root causes of animal abuse and over population through education and spay/neuter programs. ARF works with rescuer Patsy Topping who facilitates transports from Walter Crowe to the ARF Adoption Center to rescue highly adoptable dogs before they are euthanized.